Japanese knotweed is a phrase that strikes fear into the hearts of many homeowners, such is the myth surrounding this invasive plant species. It’s true that homeowners should be aware of the pitfalls of having knotweed on their land – particularly when it comes to getting a mortgage, as knotweed can damage properties. However, forewarned is forearmed, and solutions are available for savvy homeowners who know how to identify and tackle this aggressive weed. A tall, fast-growing plant which was introduced into the UK in the 1800s, Japanese knotweed’s dangers lie in its deep, penetrating roots which can extend metres underground. Spotting it isn’t too difficult, thanks to its distinctive thick spears with pink buds which appear during spring and grow quickly – up to 2cm a day – to form clumps of bamboo-like stems which then grow green shovel-shaped leaves. If you don’t spot them earlier, you’ll certainly be able to tell by summertime, when these stems, which can have reached 3 metres in height, will gain purple speckles and an alternating pattern of leaves. The flowers emerge finally in late summer as long tendrils, about 10 centimetres long, of small, white flowers. So why are homeowners taught to fear this rapidly-growing plant? The answer lies in its roots, which can grow up to three metres deep and seven metres wide – meaning that its thick rhizomes, or roots, can grow under house foundations, patios and paths, potentially causing instability. Homeowners are often also regaled with horror stories of removing the stubborn weed – Japanese knotweed can be difficult to eradicate as it is a perennial weed, so its roots can stay dormant for up to two decades before springing into life. While this is the case, headlines focus on the fear factor, ignoring the fact that well-maintained properties with careful owners have little to fear. A 2018 study by global engineering firm Aecom and the University of Leeds found that there was nothing to suggest that knotweed causes significant damage to buildings. However, as with anything that could have an impact on your property, tackling problems head-on will help to prevent further issues. Many of the usual approaches to tackling weeds, such as cutting back, are unsuitable for knotweed thanks to its ability to revive itself from even the tiniest roots – and cutting it can often stimulate quicker growth, making it counter-productive. This means you will need to rely on professional help to remove it efficiently. How can this affect me getting a mortgage? Some mortgage lenders will refuse to lend on buildings which are actively being affected by Japanese knotweed – they are lending you the money based on the house as security against that loan, and if the integrity of the house is in question, it doesn’t make sense for them to make the loan. Not all lenders will refuse to lend altogether, however. 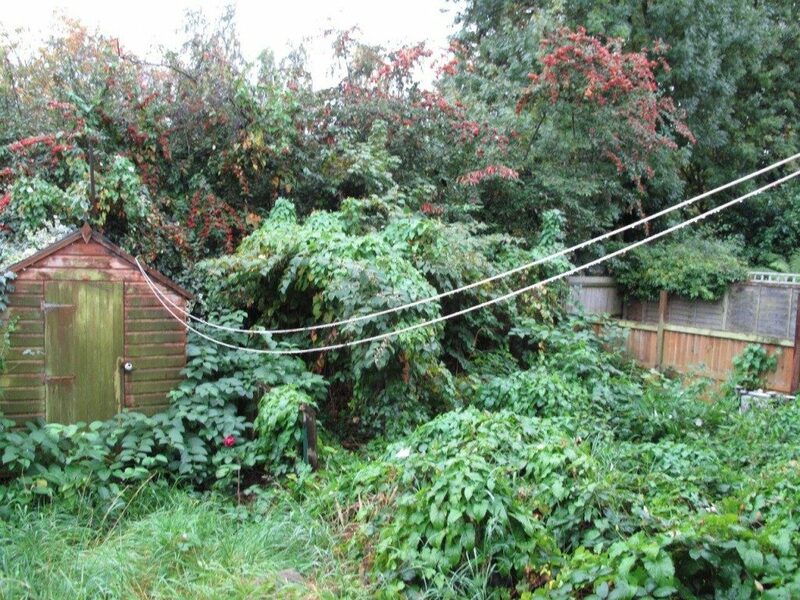 Many mortgage lenders will make the professional removal of knotweed by experts a condition of a mortgage being granted if it is found during a property survey – demanding that a plan for its removal be presented and in some cases, begun, before they will approve the loan. Some mortgage lenders will also take into account the location of the knotweed on the property – if it is far enough away from the building, the lender may be more likely to consider a loan, but they are often strict about this as the weed spreads so easily that it can become a larger problem in future. If you have a property with knotweed and wish to remortgage, or are looking to buy a property and have discovered knotweed on the premises, all hope is not lost. Your first port of call should be a professional firm experienced in dealing with knotweed, who can survey your property and advise how large the problem is – and what steps can be taken. If you work with a firm who can provide an insurance-backed guarantee to treat the knotweed properly, often over a number of years, you can then approach your mortgage lender and outline the plan put into place, which will often be enough to satisfy the lender and allow them to approve your mortgage. It is crucial to ensure that you have a long-term, and reliable, plan in place for controlling knotweed. We’ve helped 100s of clients, secure the home they want. so If you suspect that you have knotweed on or near a property that you are thinking of purchasing then contact-free on either 01279 466 162 or 07836 618 028. This entry was posted in Blog by G5. Bookmark the permalink.